Prince Harry and Meghan Markle will be saying their "I dos" at Windsor Castle on live TV for the whole world to see ... just like his brother, William, and sister-in-law, Kate Middleton. Harry and Meghan's wedding is still in the early planning stages, but our Kensington Palace contact tells us they'll allow cameras in St. George's Chapel at Windsor Castle to make it available on the tele. 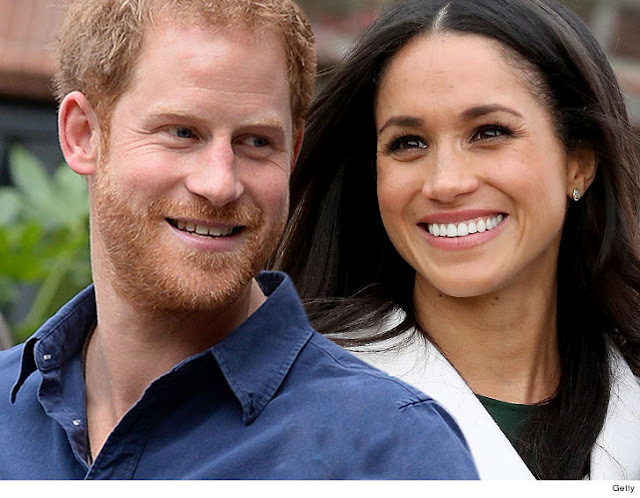 We're told it will be a pool camera, meaning all media outlets can plug in and run the wedding on broadcast and cable TV as well as all digital platforms. Here's the contest. Around 23 million Americans and 27 million Brits tuned in to Kate and William's wedding back in 2011. Our guess ... Harry and Meghan will beat that, especially in America because she's one of US. If you want to set your DVR, there are reports that the wedding will go down May 26 during Memorial Day weekend. The precise date will be revealed next week.